Hood’s practice encompasses a wide range of civil litigation and real estate matters. He represents developers, lenders, businesses, families, and individuals in real estate transactions, both residential and commercial. His extensive trial experience includes real estate litigation, construction litigation, personal injury, and business litigation, representing both entities and individuals. 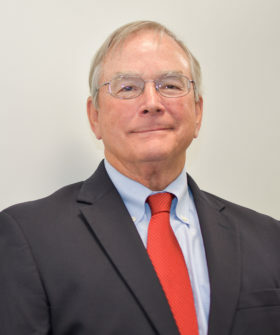 Hood also provides guidance to local municipalities and has served as the Town Attorney for the Town of Edenton since 2007. Note, Assignments Which Purport to Assign an Entire Executory Bilateral Contract, 10 Wake Forest Law Review 179 (1974).